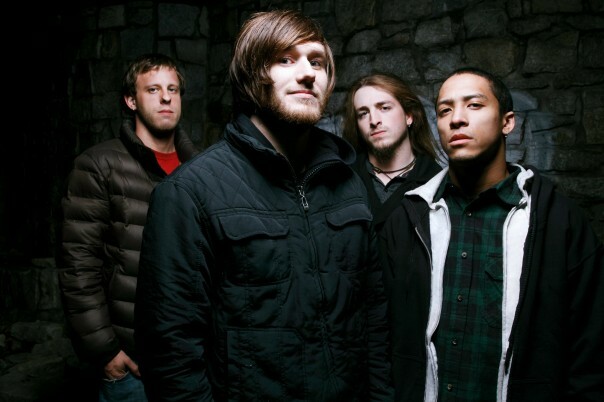 Veil of Maya have been riding a new wave of metal commonly referred to as djent for several years now. The music can be somewhat technical in its nature and also very complex at times. The band burst onto the scene back in 2006 with their debut album All Things Set Aside and quickly began winning over fans as well as critics. Their 2010 album [id] took them to a whole new level and really raised the bar for them as well as other djent bands. We recently caught up with guitarist Marc Okubo to talk about their brand new release Eclipse. Music Is My Drug Of Choice: Hey Marc, how are things going for you? Veil of Maya: Things are going really well! Today is an off day for me and I’m about to go see the Bulls play, so it’s going to be a fun night. I didn’t know that you were a basketball fan. I wonder how many of your fans already knew that piece of trivia. Well, I definitely don’t want to make you late for your game, so let’s jump right into this thing. Your album Eclipse was just released. What’s the word on the streets about it? The initial feedback has been overwhelmingly positive! There has been only one common complaint amongst the fans and that has to do with the length. A lot of people are unhappy with that. We wrote it and had originally planned on releasing it last summer, but we didn’t. I feel like the listener gets the full album effect, even though it’s short. I mean, we could have added a lot of filler and instrumentals between the tracks, but we chose not to. So, how did you guys hook up with Misha Mansoor from Periphery and decide to use him as the producer? Well, he’s a very good friend of ours and we had been talking about collaborating together with him. He said he wanted to try a demo and see what the results were. I think it was in May of last year that we tried him out and we really liked the results. I had written about 90% of the album, but I still needed some transitions and a few bridges. Misha helped me out with those. I wrote tons of riffs and then he helped me piece them together and he helped to write the transitions. It was like he was an extra member of the band. So, how did he challenge you guys as musicians to top your last album [id]? This album was much more experimental than the last one. This one has an old school feel to it. It was more like a four piece band being locked in a room and jamming. We also had the majority of this album planned out before we started recording. The production is also a big difference. It’s like a movie soundtrack; all detailed with orchestration and a big choir. That’s a great segue for my next question. I think the instrumental “Eclipse” is an amazing song. Do you purposely set out to write an instrumental or do you have the music layed out and you can’t write the lyrics around it? It’s one of those things that just happens. I actually wrote that on the Summer Slaughter tour in 2010. It all came about when I was jamming with Havier from Animals as Leaders. Our producer Misha heard me jamming on it in the studio. He just looked and told me that it had to be on the new album. I think it’s really cool and it has a Final Fantasy sound to it. So, I know your tour with In Flames and Trivium has ended. I know you guys are dying to get back out on the road. Do you have any definite plans yet? Well, we have plans to tour Japan and Hawaii and the Europe in May. We will be back here in the states for the summer doing the Summer Slaughter tour. You guys are definitely road warriors! I, for one, cannot wait to hear this new material live. Speaking of live, do you have any kind of routine that you do before taking the stage each night to play? I always drink two beers before going out there. I also have this thing that I do where I put an extra pick somewhere on the stage just in case I need it. The funny thing is I have never had to grab it. I have to ask you my guilty pleasures question. Do you or any of the other guys in the band have any that would surprise your fans? Well, it’s safe to say that nobody in this band listens to metal. If you put on that song “Moves Like Jagger”, then Danny and I are going to be singing along at the top of our lungs. Oh yeah, and Katy Perry’s “ET”. That’s my jam right there! I’m not sure if you’re a fan of The Walking Dead, but what three necessary items are on your zombie apocalypse survival checklist? Lets’ see, it would definitely be a car and keys and a crossbow. I do watch the show, but I am such a big technology nerd that it drives me crazy. I mean, I don’t get why there’s no internet or cell phones being used. The lack of technology on that show just drives me crazy! You make a good point there, I never thought about that. Well, as much as I hate for all of this fun to come to an end, you have a ball game to get to. Marc, it’s been a pleasure and I hope we get to make it to cover a show of yours during the upcoming summer touring season. The new album Eclipse is something really special and we encourage everyone to take the time to check it out.